How to install GuestBook Script PHP? 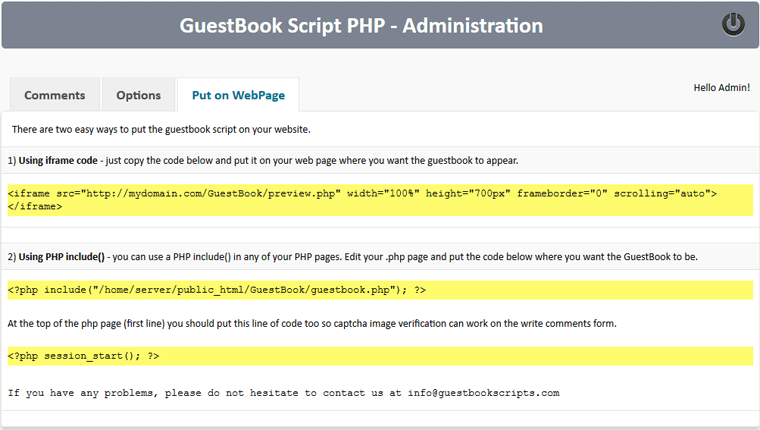 How to use GuestBook Script PHP? How to use options in admin area? How to put the guestbook on a web page? How to install GuestBook Script PHP? GuestBook Script PHP require PHP 5.3 or higher version and MySQL 5.0 or higher version to run on your server - you can see the current version of PHP and MySQL in the control panel of your website. 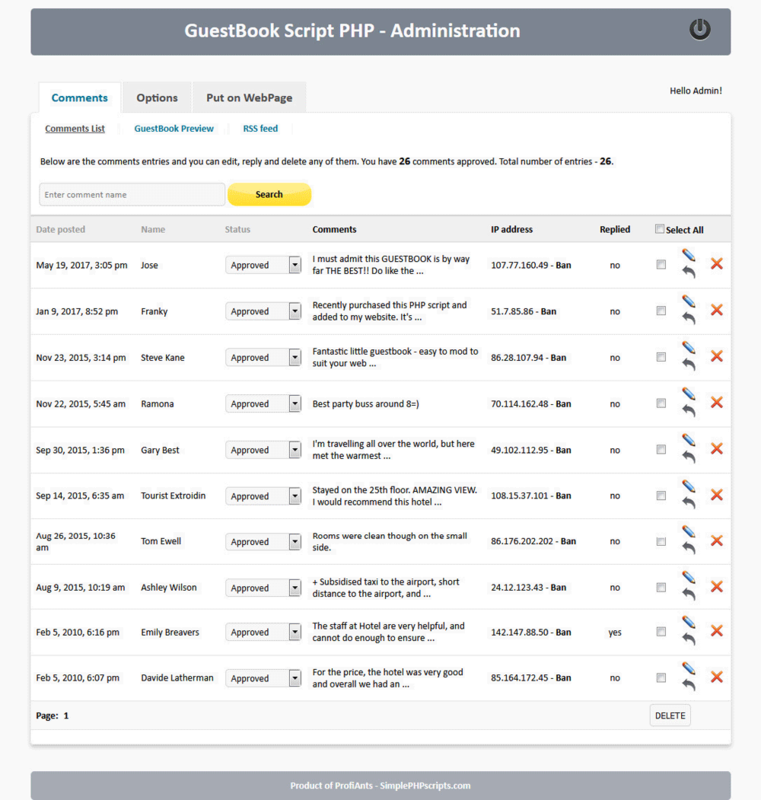 How to use GuestBook Script PHP? 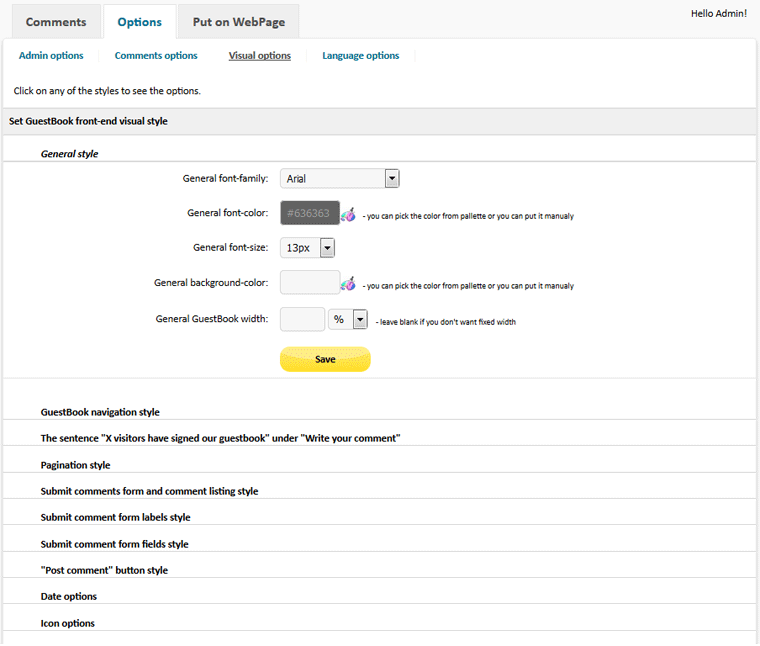 Once the login is successful, you will enter admin area -> Comments List(it will be empty after the initial install). Here you can see the comment entries ordered by Date posted. How to use options in admin area? Admin Options. You should set Administrator email, where all new comments notifications will be sent. You can set the number of comments per page in the front-end. 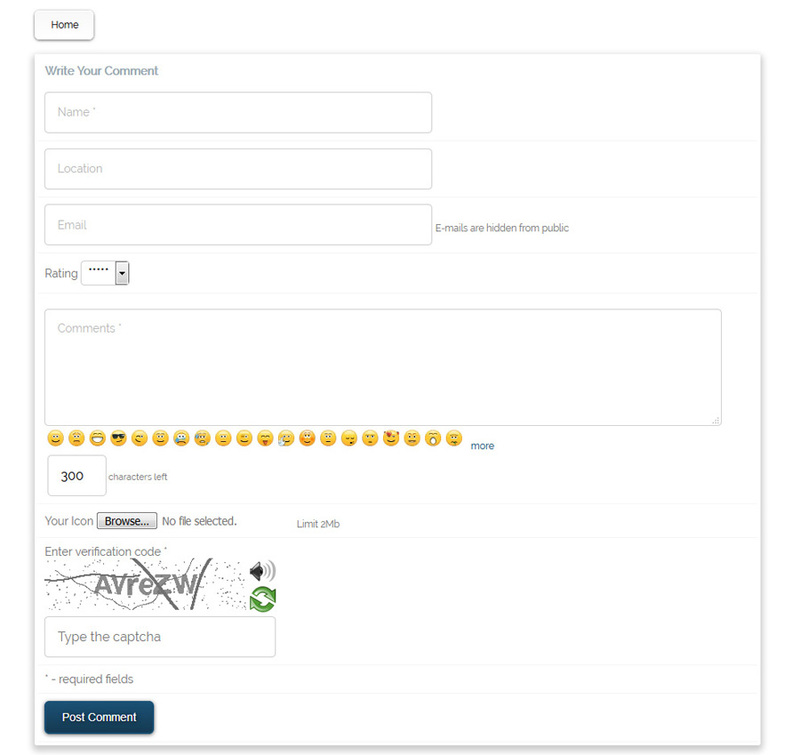 'Type of the Captcha Verification Code' - choose between five captcha images or no captcha for the submit comment page. 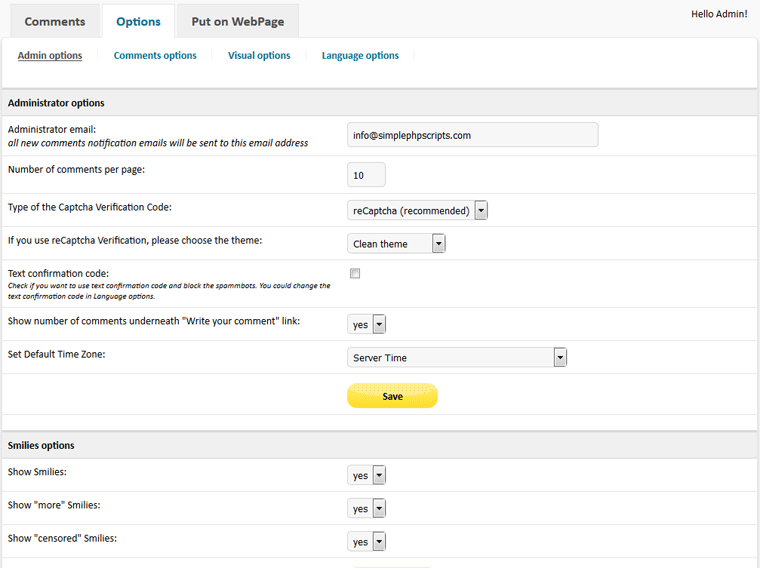 And if you shoose reCaptcha code, you are able to choose between four themes. 'Text confirmation code' - Check this option if you want to use text confirmation code and to be double sure that you will block the spambots. You could change the text confirmation code in Language options. 'Show number of comments' - choose whether to show or hide the sentence "23 visitors have signed our guestbook. You are next!". 'Set Default Time Zone' - if your hosting server is in located in different time zone, for example if you are located in Europe, but the server is in USA, then you could choose the correct time zone, so the comments date and time will be shown in the exact time zone. 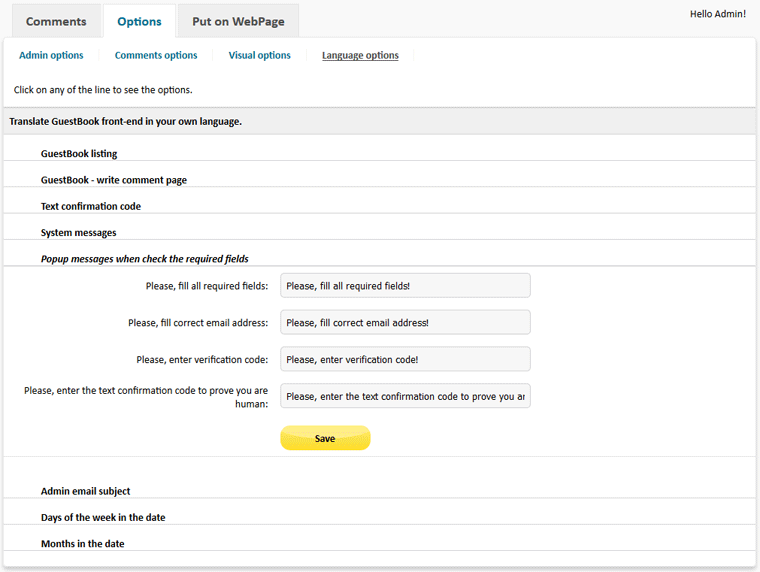 'Approval' - you can choose whether to approve comments before having them posted or automatically to be published. 'Comments order' - If you set 'New at the bottom', new comments will appear at the bottom of all comments. If you set 'New on top', new comment will appear on top of all comments. 'GuestBook form fields' - select the fields that your visitors should fill in on the GuestBook form. 'GuestBook form mandatory(required) fields' - select the fields that your visitors should fill mandatory in on the GuestBook form. The selected fields will be required. 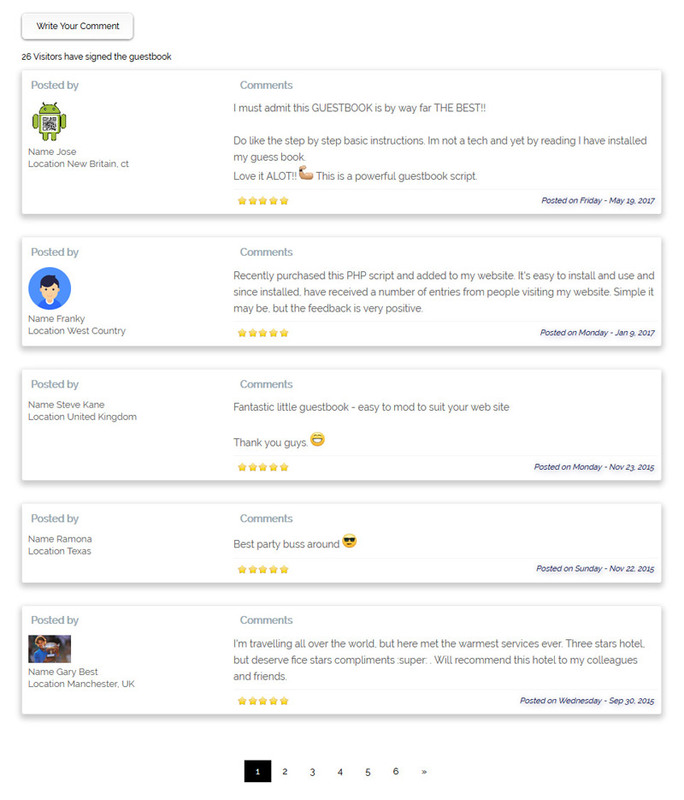 'GuestBook show comment information' - select the commentor personal information that your visitors will see in the guestbook listing. 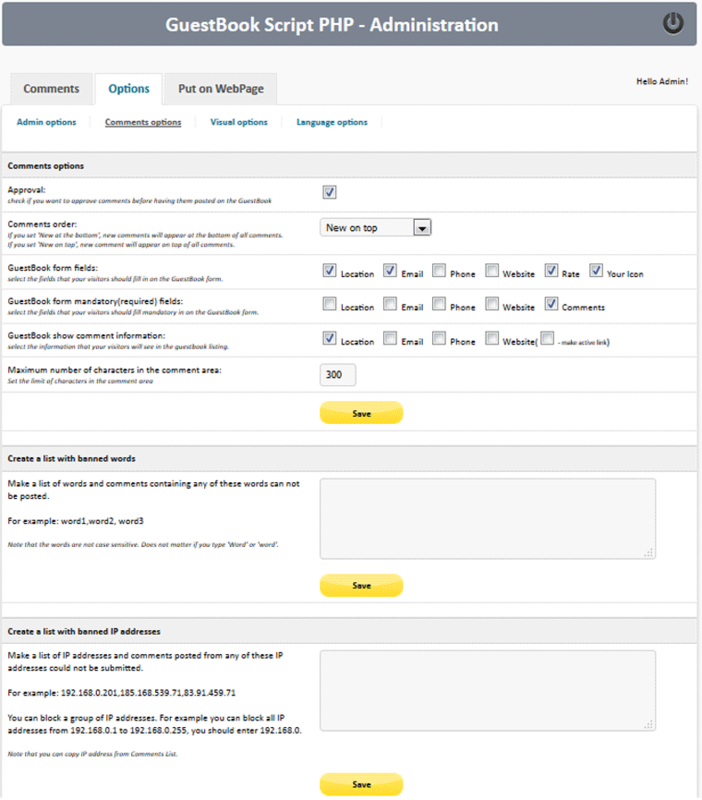 'Maximum number of characters in the comment area' - Set the limit of characters in the comment area that visitor will be able to fill in when submit a comment. How to put the guestbook on a web page? Copy the code, open the page(using HTML editor) where you want to place the guestbook to your page and paste the code between <body>code</body> tags.